When winter weather is approaching, you will begin to see utility trucks pretreating the roads with brine, preparing them for snow and more salt. They are coating the roads so that we can access them sooner, hopefully with less traffic accidents. Rock salt or liquid salt is used after snow falls and ice storms, and can usually be seen to the eye. Often, you can see white residue while driving, and hear small rocks hitting your vehicle. In more recent years, many cities use liquid salt as well as rock salt. What exactly is this mixture which is on the roads? Is it safe for you, the environment, or your vehicles? 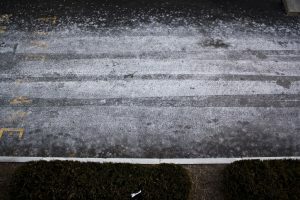 The salt that is used on roadways is typically a course mix of sodium chloride and non-caking agents such as sodium Ferro cyanide and ferric Ferro cyanide. One of the biggest advantages to road salt is that it is readily available and inexpensive. However, it does have limitations and risks. First, it does not work under extremely cold conditions. Instead, sand is used for temperatures under 15 degrees. Sand provides traction to help with slippery roads and provides friction to aid ice and snow melting. Secondly, sodium chloride, potassium chloride, magnesium chloride and calcium chloride, which are types of Rock Salt, all pose significant risks for the environment. Because rock salt is not purified, it contains contaminants such as lead, iron, aluminum and phosphorus that are released into the ecosystem and can raise the salinity in the soil and water. In addition there are added melting and non-caking chemicals which can add to these dangers. On that note: since road salt is a severe accelerate to rust, many alternatives have been discussed as listed in “The Chemical Composition of Road Salt” by Anne Marie Helmenstine. But due to its economic benefits, road salt is still used extensively. Here are a few things to do to limit the damage of corrosion and exposure in your vehicle. It is important that that you wash your vehicle thoroughly as soon as possible after driving through salt and snow. The salt and prolonged moisture will generate damage to your paint job, frame, undercarriage and electrical parts. Once the temperatures are above 40 degrees, wash your vehicle to remove the salt. If possible allow to dry thoroughly in the sun. 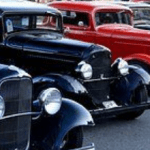 Search for “Anti-Rust primer for automobile” in your favorite internet browser. There are some interesting and viable offerings. Move to a town in Wisconsin that uses cheese brine as a de-icer. 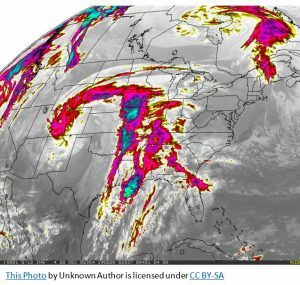 Northern states may be subject to these conditions more often than others, but winter weather falls into the category of the unavoidable. Despite your location, you will most likely be exposed to salted roads at some point during the winter season. Remember to wash your vehicle’s exterior and undercarriage in a timely manner, it will benefit your vehicle in the long run. And to keep your vehicle in tip top shape use a breathable car cover on your vehicle, such as the ones found at Car Covers Direct. Previous: All I want for Christmas is a new CAR!